In September 2016, Microsoft founder Bill Gates slipped to #2 in Forbes’ annual list of the World’s Richest Billionaires. Gates’ premier position, which he had steadfastly maintained for many years, was usurped — if only for a few days — by an Amancio Ortega. In comparison to Gates’ public stature and celebrity, Ortega was a relative unknown and it took market watchers, entrepreneurs and business journalists a few incredulous Google searches to discover that the 80-year-old Spaniard was actually the founder of clothing giant Zara. On closer inspection though, it seems hardly surprising that a figure as unknown and low-key as Ortega helms one of the world’s largest fashion empires. For one, Zara, in keeping with Ortega’s reluctance to do interviews or court any kind of publicity, invests little to no money in advertising. Unlike competing brands and fashion houses, Zara scarcely appears on billboards; its collections do not figure in fashion shows; neither does it lobby for Vogue’s gilded pages, nor does it associate itself with any celebrities or high-profile fashion designers. Indeed, it bends all the rules and defies all the conventions that have endured since the time fashion, as it were, emerged from the aristocratic salons and bohemian boutiques of 19th Century Paris, and entered the mass market. And yet, Zara is thriving. With over 2,100 stores across the world and a revenue of $15.9 Billion (2016), it is one of the most valuable companies in the world. 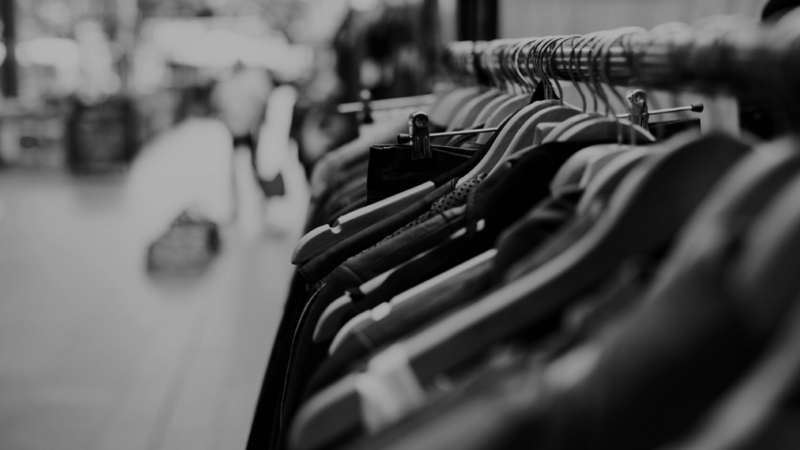 Since it came en vogue, Fast Fashion has been adopted by several other brands — H&M, notably, commits up to 20% of its inventory towards Fast Fashion items — with the result that the concept has become elastic and loosely defined. We’ve, however, tried to delineate it by examining its core features. Zara’s approach to Fast Fashion can be traced to Ortega’s earliest business venture in 1963 — when he sold quilted bathrobes and lingerie that were inspired from designer brands. To this day, Zara stays true to Ortega’s thrifty design processes. Compared to its competitors, the company does not hire high-profile designers or invest too heavily in crafting wholly original designs. In contrast, its designers, young, anonymous and enthusiastic, work in concert to create and modify designs with strict adherence to market demands. Zara’s genius lies in identifying the latest fashion fads; it keeps an army of fashion watchers who keep an eye on what’s trending on runways, what couture brands are producing and what avant-garde designers are exhibiting, and accordingly tailoring its fabrics to stay on top of trends. In doing so, Zara has run afoul of the storied gatekeepers of fashion as well as indie designers. In 2012, luxury brand Christian Louboutin took legal action against Zara for allegedly imitating one of its shoe designs and selling it at half the price. Although the case was dismissed, fashion journalists surmised that Zara manages to steer clear of trouble by tweaking its designs just enough to avoid copyright violations. Similarly, young and emerging designers have railed against Zara for selling alleged knockoffs of their work. In fashion parlance, turnaround time represents the time it takes for a current collection to be replaced by a new one. For most fashion retailers, the turnaround time is 3-6 months. In comparison, Zara, as it demonstrated in the aftermath of September 11, can push a collection from the canvas to the store shelf in two weeks. 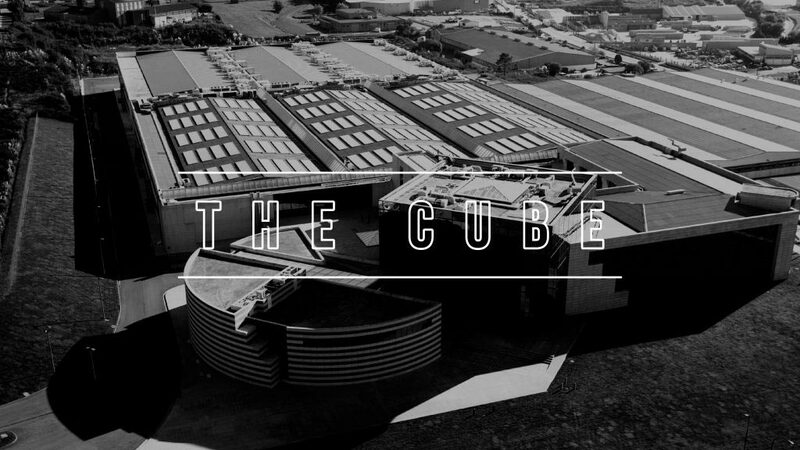 The Cube is where Zara’s 200-member design team, its procurement and production teams work in coordination. Tokyo, Mumbai, Rio de Janeiro or London — no matter where you shop, at least 50% of every Zara outlet’s inventory (in other words, its Fast Fashion inventory) begins its course at The Cube. Arteixo is a quiet town located in A Coruña, on the Spanish coastline. With its Galician architecture and historical landmarks, it seems hardly indistinct from the dozens of heritage towns dotting the Spanish countryside. Under its cobbled streets, though, runs a 124-mile-long network of high-speed monorail tracks that converge under a colossal and forbidding megastructure called The Cube. Given its enormity and futuristic design, The Cube seems like something out of the sets of 2001 A Space Odyssey. It is, in actuality, the nerve centre of Zara’s worldwide operations. Fast Fashion is at the very centre of Zara’s strategy; it is what gives it an edge over legacy fashion retailers like Calvin Klein, Armani etc. The key to understanding Fast Fashion lies in deconstructing this elaborate supply chain that begins at The Cube before spanning out to thousands of Zara stores located across the globe. There are 5 crucial phases in Zara’s supply chain — Procurement, Supply, Production, Manufacturing, Distribution. And, in keeping with Zara’s distinctive edge, each of these steps makes a decisive departure from the industry norm. As mentioned earlier, most fashion retailers commit up to 80% of their inventory at least 6 months before the beginning of the next season. 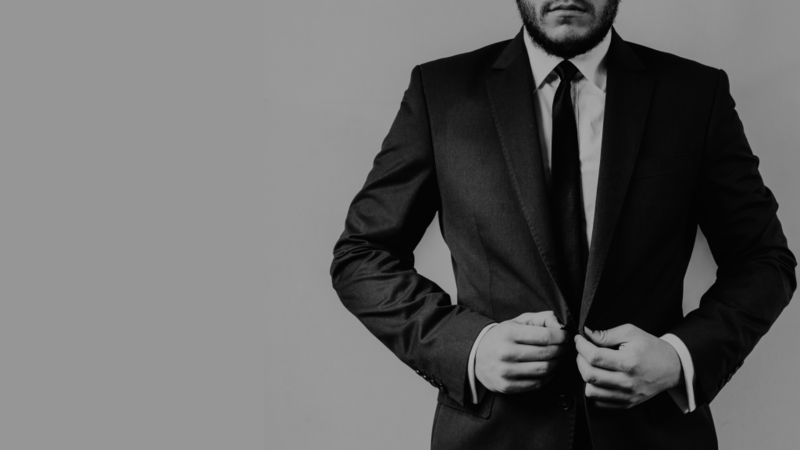 This industry-wide practiced demands that procurement managers make advanced forecasts of the number of clothes that would need to be manufactured in these intervening months. Zara handles procurement differently. It does not forecast the number of finished goods; rather Zara’s procurement team, operating out The Cube, forecasts the quantity of fabric that would be needed to manufacture clothes, before placing orders with the company’s suppliers. This emphasis on fabric over finished goods is rooted in Zara’s Fast Fashion philosophy. Unlike finished goods, fabric does not go waste — it can always be used to sew new clothes. The year-long availability of fabric allows Zara to respond to its customer needs and changes in fashion trends realtime, and manufacture new collections accordingly. Zara has often been given the moniker of “affordable luxury”. And there’s a reason why — consumers flock to Zara in droves because it sells the same kind of products as the more exclusive fashion brands — only at cheaper rates. One of the reasons why it’s able to keep its prices low is because Zara does not seem to place a premium on fabric quality. Whereas older and posher fashion brands do not tire of emphasizing the quality and provenance of their textiles, Zara prefers buying fabric from suppliers who sell it inexpensively and abundantly. The Cube is ground zero for Zara — it’s where its team of market specialists, design team and production team coordinate with each other with clockwork precision. This is where Fast Fashion comes into full effect. After the fabric orders are readied by the suppliers, the fabric is received at The Cube. The Cube is ground zero for Zara — it’s where its team of market specialists, design team and production team coordinate with each other with clockwork precision. All of Zara’s design and production processes operate out of this central location. At The Cube, market specialists — many of whom previously worked as store managers — man all communications streaming in from store managers stationed across thousands of Zara outlets around the world. Store managers — who are trained specifically to engage customers and suss out their reactions to the clothes on display — relay sales figures and customer feedback on a daily basis to the market specialists. 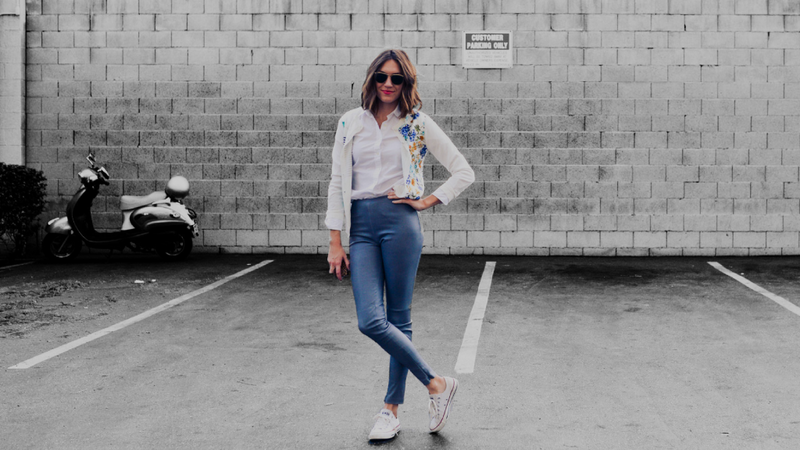 Additionally, inputs are also received from runway watchers and fashion observers who are paid to stay on top of latest trends hitting fashion capitals across the globe. The information is then conveyed by the market specialists to the design and production teams. Once these inputs are obtained, and conclusions are drawn, the design team gets to work on tweaking its original designs in accordance with the inputs. After ideas are sketched out, all the final tweaks are tabled for consideration — these tweaks typically relate to color or the cut of the design. After the designs are approved by the motley of teams, the torch is handed over to the production team. Often, the time between ideation and approval can be as little as a few hours. Zara’s production process leaves no room for delay either. This is because, unlike other fashion retailers, Zara colors and dyes its fabric in house. Coloring and dying facilities, located inside The Cube, are deployed, and the supply chain advances to the next stage. It is, arguably, Zara’s manufacturing methodology that makes it such an outlier, when compared to every other fashion retailer in the world. It is common knowledge that almost all major fashion brands outsource their manufacturing to China, and parts of south-east Asia and the Far East. Predictably, Zara follows a radically different approach. Ortega’s business began in 1975 when he opened the first Zara store in downtown A Coruña. As his business turned into a global fashion empire, he cultivated a circle of his preferred manufacturers located in the area, along with buying factories and opening some of his own across the Galician expanse. To this day, Zara either utilizes Ortega’s own factories and those of his earliest associates who rode the wave of Zara’s astonishing rise for close to the last 50 years. All of Zara’s Fast Fashion inventory is manufactured in these factories — most of which are located in the vicinity of The Cube. Once the sheets of fabric are cut and colored inside The Cube, they are dispatched to these factories where they are manufactured into finished clothes. The mechanism that is used to dispatch them is where the sheer scale, muscle and operational feat of Zara comes into full view. The 124-mile-long underground track that had been mentioned earlier in this article is not used for ferrying passengers; indeed, it is the fabrics, cut and colored, that are transported on these high-speed monorails to the 11 Zara-run factories surrounding The Cube. But there’s more — something which may astonish even more than Zara’s feats in subterranean engineering. At any day or time of the year, up to 85% of Zara’s factories could possibly be sitting idle. Indeed, Zara has a peculiar take on capacity utilization. And that’s because when it comes to fast fashion, there are two factors that are pivotal — time and changes in demand. Let’s try to understand this: because this is Fast Fashion, a drop in demand — which reflects the failing popularity of a particular design — triggers a response from the teams stationed at The Cube. This response would either be a tweak in the design or its complete overhaul. To maintain its swift turnaround time, which stands at two weeks, Zara needs to deploy its resources immediately. It can’t, for instance, afford any lags because one of its factories happens to be busy. Zara, therefore, was quick to realize that there exists a direct relationship between the degree of capacity utilization of its factories and their length of turnaround times. In other words, the busier a factory, the longer it would take to manufacture a Fast Fashion item. And that’s why Zara keeps 85% of its manufacturing capacity idle so it can respond with more agility to any changes in demand anywhere in the world. A drop in demand — which reflects the failing popularity of a particular design — triggers a response from the teams stationed at The Cube. This response would either be a tweak in the design or its complete overhaul. Once the fabrics are turned into finished clothes, they are loaded into the monorail and freighted back to The Cube. As mentioned earlier, The Cube serves the global disruption centre for all of Zara’s Fast Fashion items. It is at The Cube, where they are inspected, packed and then shipped out to Zara’s stores across the world. FREE WHITEPAPER: Get the CFO’s Guide To Spend Visibility and see how finance can reduce procure-to-pay times by up to 80%. Indeed, Fast Fashion is at the very centre of Zara’s strategy; it is what gives it an edge over legacy fashion retailers like Calvin Klein, Armani etc. — in general the gatekeepers of fashion that are invested with enormous cultural capital by virtue of their famous designers, their elaborate ad campaigns and their association with celebrities. But, Zara dispensed with such marketing practices and pioneered Fast Fashion instead. Zara’s meteoric rise in the course of the last 50 years is grounded in Operational Efficiency — an unlikely and somewhat unexciting factor behind its success given the fashion industry’s glamorous connotations in the popular imagination. In Zara’s case, money that would have been channelized into advertising and marketing was utilized towards creating a lean and agile supply chain. In this respect, Zara has a predecessor in the automative industry; Toyota, famous for its Lean Manufacturing model, was one of the first companies to look inward and optimize its internal processes to eliminate wasteful and reactive spending. Central to this analogy between Zara and Toyota is Spend Culture. Historically, companies kept a hawklike vigil over money coming in but developed neither the business principles nor the practices to address the other side of the coin — the money going out of the company or spend. Spend Culture not only mitigates a company’s spending problems but brings about a fundamental change in mindset — a pivotal changeover from reactive to proactive spending. Traditionally, North American companies have been slow to realize the importance of building a Spend Culture in the organization. But, as the world economy grows, more companies have begun looking for new ways to boost their revenue. But, revenue, at the end, is a zero sum game; finding news ways of making money and capturing market share are finite and are reaching a critical mass. For companies to survive in the future, Spend Culture is inevitably the best way forward. Thank you for this very interesting post! I know you wrote it long ago, but it still feels completely fresh and relevant. So many blog posts– and even one Forbes article I read about Zara– are shallow, but this felt deeply thoughtful and relevant to me as a senior business person. Keep up the good work. What a well written piece. What I knew beforehand about Zara whas that they pre-committ to the fabric. What really took me by surprise however was the fact that Zara keeps 85% of manufacturing capacity idle in order to quickly respond to market need changes. This is an eye-opener indeed and a totally fresh take on viewing capacity and costs traditionally associated with idle capacity. I have been thinking a lot about a concept of uberization of idle capacity in apparel manufacturing world. It would be great to talk to you about it sometime. Awesome read. I am sharing it on my social profiles. Thanks for the comment, Anjuli. One thing that I didn’t mention in this post: What’s remarkable about Zara is that they were perhaps one of the first companies to even think of tracking consumer preferences in a systematic way — this was unheard of amongst the traditional gatekeepers of Fashion whose designs were based purely on artistic whim & inspiration. Tracking, measuring success, and iterating on top of that — this obviously sounds prosaic in today’s data-driven economy, but at the time it was a quiet revolution of sorts, and it began on Ortega’s factory floors in rural Spain. You can drop me a line at nitant@procurify.com. Thanks! Well researched post Nitant! This reminds me of “The Toyota Way” and lead production. Zara did to fashion what Toyota did to car manufacturing and turned their supply chain into a competitive advantage. A very poignant analogy, Matt. Yes, Zara essentially deployed some of the same principles that allowed Toyota to gain a competitive edge over Detroit’s automobile giants. 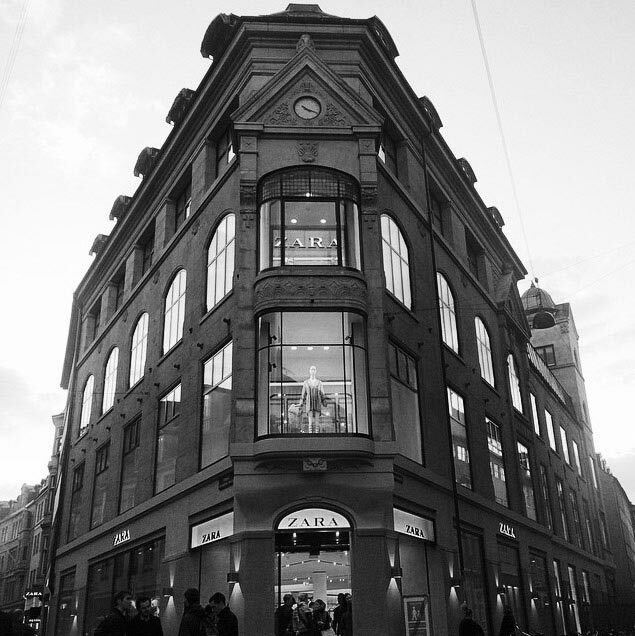 To take the analogy further, Zara’s intense drive to make the most of its operational efficiency distinguishes it from major European fashion retailers, who have better designers and cultural capital, in the same way that Toyota’s high standard of efficiency allowed it to overcome many North American and European carmakers who had superior engineering and brand prestige. I’ve read elsewhere that a professor mentioned that the key to Zara’s success has been centralization. In this day and age when so many in this industry do things in a way that has not been different for many years, it’s not too surprising that looking to improve your processes or business practices by actually trying to understand what areas actually derive value rather than throwing endless amount of money around has worked so well for Zara. 85% downtime and they still bring in 15 Billion+. This was an eye opener. Thanks for your comment, John. Indeed, Zara’s core value lies in constantly examining how its internal processes can be optimized and add more value to not only its bottom line but also its work force. Zara’s Spend Culture thus has a bearing not only on its monetary success but also on its culture — which is to say the work ethic and philosophy of its work force, an area which is neglected by companies that restrict their focus to revenue alone. A crucial element of Zara’s success, which I did not mention in the article, is how its store managers are paid better and have more attractive opportunities of career advancement; an empowered workforce is only possible if a company recognizes where its spending is going wrong, where it is squandering its spend, and then integrating the right kind of spend management software to stem wasteful spending so it has the capital to empower its employees. Spend Management alone is not sufficient; a company needs to have a Spend Culture. It’s really that easy and it boggles me why most companies fail to realize this.